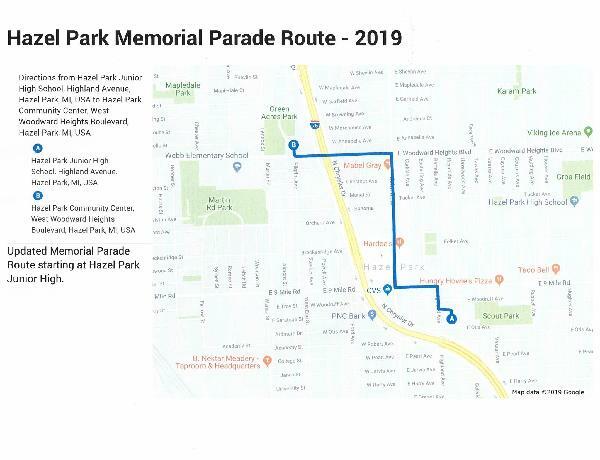 Due to road construction along the normal parade route, the Hazel Park Memorial Day Parade will this year begin at the Hazel Park Junior High School on May 27th at 10:00am. The parade will end in front of the Hazel Park Community Center. To apply to be in the Memorial Day Parade, please follow this link for the application: https://forms.gle/y4rNqtD79e7cCfuK6.